We have lots of experience in commercial hot tubs. For more information and prices, please call us on 01328 838834. 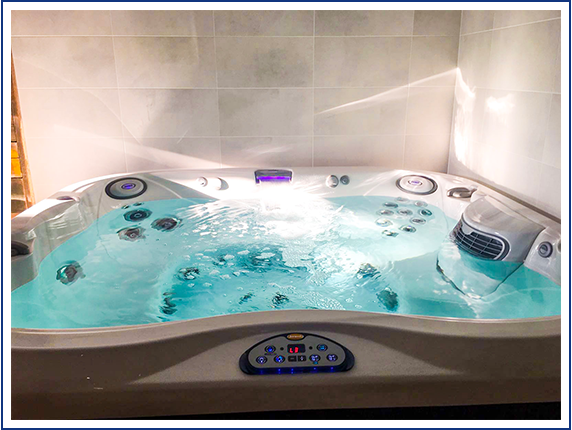 The water level reaches the physical rim of the hot tub so you can be sure of deep immersion in your Jacuzzi© hot tub massage seat. The quartz sand filter provides superior filtration ideal for more frequent use. Filtered water flows back into the tub through the ground drainage point. This creates an underwater fountain effect from the bottom of the hot tub, so particles are collected more effectively and directed back to the filter constantly. 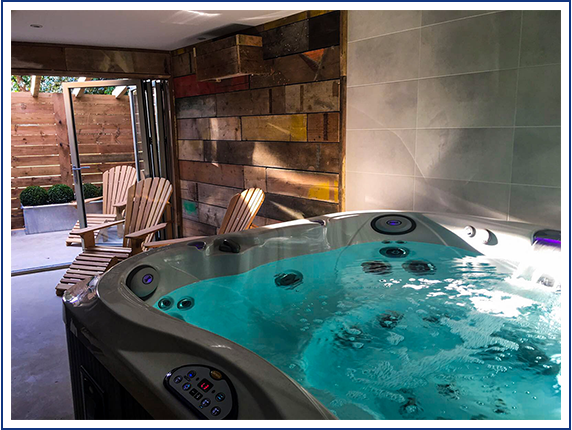 A professional hot tub is much quieter to run, as the working parts and filtration processes can be positioned far from the hot tub. They can be seperated to the hot tub by up to 6 meters. This allows you to enjoy your hydromassage to fullest. A distinctive feature of the professional range is the 15° angled overflow grid around the surface of the hot tub. It collects surface water, which overflows through the grid to a storage tank and filter. The cleaned water is pumped back into the the hot tub and reused. Underwater LED spotlights illuminate the hot tub during your massage. Watch the colours change as your body relaxes!